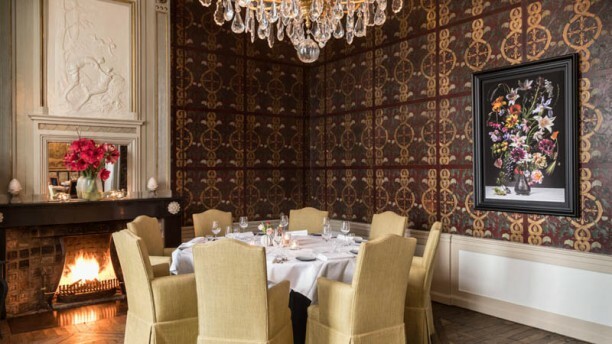 Weinig restaurants hebben een fraaier aanzicht dan Château Neercanne. Wie de lange oprijlaan naar het kasteel oprijdt, weet dat er hem iets bijzonders te wachten staat. Statig of overdreven formeel is het restaurant zeker niet: door tot in de puntjes op de behoeften van de gast in te spelen, is iedere beleving anders, en maakt dat veel mensen graag terugkomen. Zeker bij goed weer is Neercanne een heerlijke plek voor een bijzonder diner of lunch; de terrassen bieden een prachtig uitzicht. Een plekje weten te bemachtigen? Kom vooral op tijd, zodat je voor het eten nog even kunt genieten van de tuinen rondom het chateau - en met een beetje geluk even een blik kunt werpen in de wijnkelder. Die laten ze je vast graag zien. I arrived early, but the staff were happy to meet you. The food was spicy and delicious. one of the best. this restauant have a perfect kittchen and a very fine atmosphäre. the personal is very friendly and the wine collection / somelier TOP. We had a wonderful experience, great service and the food was excellent. I would recommend this place to everyone who visits Maastricht. The setting in the caves is absolutely amazing, The service is top notch, food is out of this world. Great experience for the sences. We'll definitely be back when the renovation is done. Was a great dining experience and love to recommend to friends & family! Atmosphere and culinary aspect is world-class. Fantastisch! We had a wonderful evening. The view from the terrace is amazing, the meals are inventive and delicious, the wines too. Very nice staff as well. The food was excellent and the location is maybe a little old but well preserved. Beautiful view on the garden outside. Amazing cheese wagon! Time to change. We came for the lunch, we had to take at least 5 courses at not so reasonable prices. Most of the dishes were hard to digest for our stomach. Sausages were too heavy. Service, wine and cheese were fine. Absolute perfect location. Wonderfull staff, great meal. The wines were unbeatable. We will come back very soon. Terrific evening as usual! Dishes are great, historic location awesome, and very professional and friendly service. I have been to the Chateau many times and will continue to go back. My favorite time to go is in the summer months when it is warm outside and you can sit on the terrace and have a drink before dinner while overlooking the valley and vineyards. Erg goed, erg lekker ! Location, service and the menu were perfect, we had the best time to celebrate my 80th birthday on a magic spot! Most delicious 6-course dinner, wonderful food, beautiful wines and champagne, best service ever by sommelier, waitresses etc. We had a spendid evening and hope to be back soon!